Ralph Breaks the Internet comes out this month and is easily one of my most anticipated movies for this month and the rest of the year. I absolutely adored the first movie and thought it was one of the most surprising movies I’ve ever seen. First, I’ll give my non-spoiler thoughts on the movie before I get into the spoiler territory. This film is one the most fun animated movies of all time. I loved the arcs in this movie and all the relationships between the characters were fantastic. I also think this movie has genuine surprises that I did not see coming like the villain twist. The animation is also spectacular and the colour scheme of the movie is great. 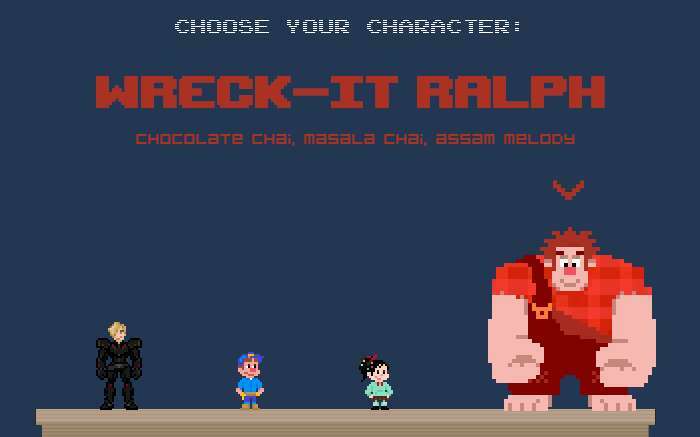 I also think Wreck-It Ralph is the best movie I’ve ever seen when it comes to having pop culture references without feeling forced. I’ll talk about it more later in the spoiler section. Overall, I would give this movie an A. I have very few if any problems with this movie. First, let’s talk about the animation in this movie because it is really well done. 99% of the time I love the animation in these Disney movies. In my opinion, this movie has the best animation for any of their movies. One of the aspects of the animation that I absolutely adored was the slight difference between characters from different games. They even point it out in a scene between Felix and Sergeant Calhoun where Felix says she looks more high definition. I love how they had these tiny differences without pointing them out or making them extremely over the top. I feel like that would have been forced and taken me out of the film. The colours in this movie for the different games is absolutely exceptional. So many of the locations look unique and different. Whether it was the mentos cave, Sugar Rush or Hero’s Duty, the locations look unique and the colours are super distinct. All of the colours and the differences between the character helped elevate the quality of the animation and make it more unique to me. Another aspect of the movie that really worked for me was the story. I thought it had a bunch of shocking revelations and I didn’t expect that from this film. Before I saw the movie, I thought it would be a fun and predictable movie. I was shocked by the main twist in the movie. When I found out that the King of Sugar Rush was Turbo I gasped. I did not see that coming at all. I thought that the whole Turbo exposition scene was just for world building but the fact that he was in the Candy Crush game was surprising. It didn’t feel like it was tacked on just for the sake of it and it made complete sense. I mentioned it earlier but what I probably loved most about the movie was the world building. Right from the opening scene with the Bad Anon meeting the world feels unique. The scene was extremely funny and seeing characters from Pac Man and Bowser was great. I also love how quickly they establish rules of the world like leaving your game and the consequences it has. I also loved how they developed the whole glitch aspect with Vanellope and how they overcame the solution and saved her. The story is also extremely funny and there are so many scenes that made me laugh and get more emotional than I thought I would get. I’ll get into a bit because a lot of it falls in the character dynamic section. My favourite part of the movie was easily the relationships between the characters and the arcs they have in the movie. The movie’s most impressive feat to me was the handling of the Ralph character. I love how they portrayed him as a character who just wants to fit in and felt like if people knew who he was they wouldn’t hate him as much. I connected with his character so much and seeing him find someone who he truly connects with in Vanellope and finally being accepted was so satisfying to me. I also loved how they made Vanellope’s situation similar with her being a glitch and being neglected by the other characters in her game. Her relationship with Ralph was easily the best part in this movie and one of my favourite relationship between two characters in ANY animated movies. So many of their interactions were super funny like the constant name calling. Furthermore, a lot of the moments between them were extremely heartwarming. One of my favourite scenes was the scene where they build the car. I thought that highlighted the relationship between the character in the best way possible. Another scene that really stood out to me was the scene where Ralph destroys the car they built. I felt the pain that Ralph had to go through while doing it knowing that Vanellope would never understand. Great scene. The ending monologue was also extremely touching and I absolutely adored it. In addition, the Felix and Ralph dynamic worked for me. I love where they started the movie and how it evolved to the final point in the film where they learn to work together and have a friendship. They also have a great scene in the castle when Ralph is breaking Felix out of the Candy Crush. Let’s end on the one slightly negative note of the film. Even though I thought the Calhoun and Felix interactions were hilarious and were some of the funniest parts of the movie. However, I did not buy them ending up together in the end. At no point in the movie did I feel that Calhoun reciprocated the feelings that Felix had for her. I love the first movie and I know the sequels aren’t always good but the trailers for this movie look fantastic. Like the Incredibles 2 marketing, the trailers haven’t revealed a lot about the story while also hinting at moments that are going to be hilarious. The Disney princess scene looks like it may be one of the funniest scenes from any movie this year. Also I’m just putting it out there but if Disney doesn’t have a Hulk Ralph action sequence in this movie, it is a wasted opportunity. I cannot wait to see all of the references in this movie. The first one did a great job handling the pop culture references and I hope this one handles it as well. I have extremely high expectations for this film.